Our clients’ industries are changing. Communication strategies are changing. Baretz+Brunelle is changing. And we have thoughts to share on all of it. With ILTACON 2018 just around the corner, I am wondering if legal tech companies will still be struggling with go-to-market strategies to the degree they were this spring. That’s when my Baretz+Brunelle colleagues published our first-ever Legal Tech Go-to-Market report, which summarized the legal tech industry’s challenges with go-to-market strategies. The legal tech executives who participated in B+B’s study of the issue indicated that the industry suffers from widespread confusion on three vital components of any go-to-market strategy: what to sell, how to sell it and whom to sell it to. In fact, an overwhelming 97 percent of survey respondents felt that the legal tech industry has no firm grasp of go-to-market strategy. Results like that took us aback and have been fueling conversations ever since. In a recent Forbes article, Baretz+Brunelle Managing Director Erin Harrison wrote that lawyers have a lot to learn from the “nerds” running legal tech companies—particularly, their relentless focus on efficiency. But as Erin (and the results of our go-to-market study) indicated, even though legal tech’s ascendance gets a lot of attention, there’s plenty for legal tech companies to learn from the old pros in the industry they are disrupting. The careful preparation, the focus on strategy and the dramatic storylines that trial lawyers bring to their work could be very useful to legal tech companies in improving their go-to-market planning and execution. Next week, Erin will be moderating a panel at ILTACON 2018 about e-discovery, one of the first areas of legal work in which legal tech companies gained a strong foothold. We’ll be listening closely to Erin’s panel on “The Future of eDiscovery,” expecting great insights on the latest disruptions in the area. We’ll also be keeping our ear to the ground during the conference for indications as to whether the broader legal tech industry has evolved in its understanding of go-to-market strategies. We’re particularly interested to hear how emerging companies talk about approaching their markets, and how more established players talk about the rollout of new products and services. We hope to hear evidence that the confusion over go-to-market strategies—and particularly the issues of what to sell, how to sell it and whom to sell it to—are diminishing over time. 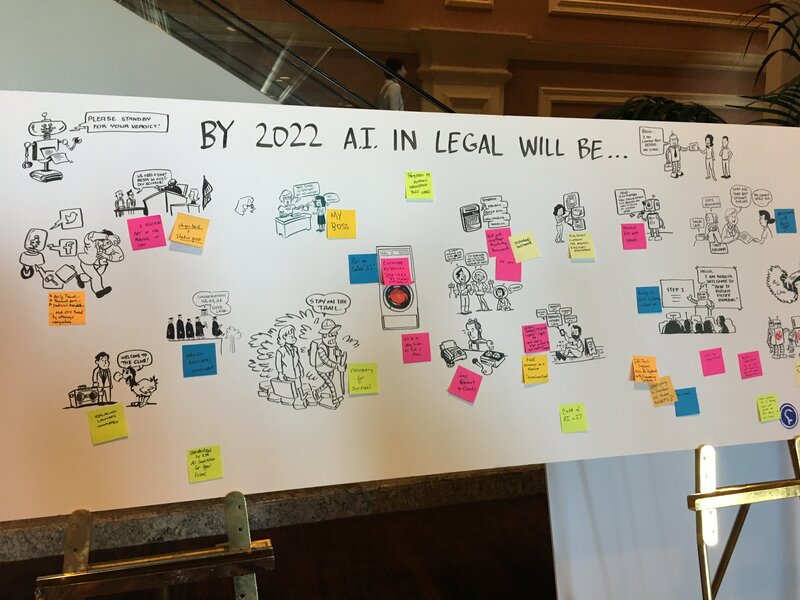 From my experience, ILTACON is the ideal venue to witness new advancements as the legal tech industry continues to mature. Understanding how artificial intelligence applies to the legal industry continues to be a mainstream effort, mostly led by corporate legal departments that are pressuring firms to implement technologies that will not only cut down their legal expenses but also enable them to be more innovative.